Posted on 01/08/2013, in Faversham and tagged boatyard, Faversham, Iron Wharf, Mark Sewell, Nathalie Banaigs. Bookmark the permalink. 2 Comments. 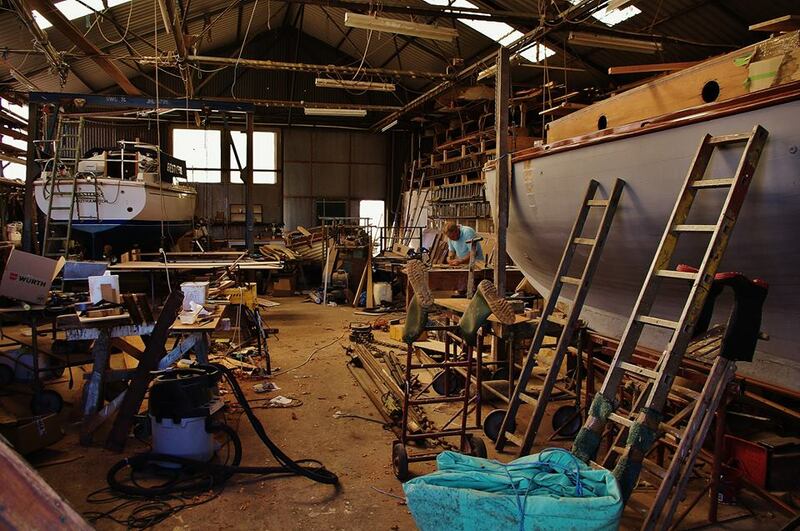 This is not Ironwharf; this is Alan Staley’s Boatyard at Chambers Wharf, which is between Ironwharf and Standard Quay, and includes the building known as the Oyster House, actually Chambers’ original Grain warehouse.